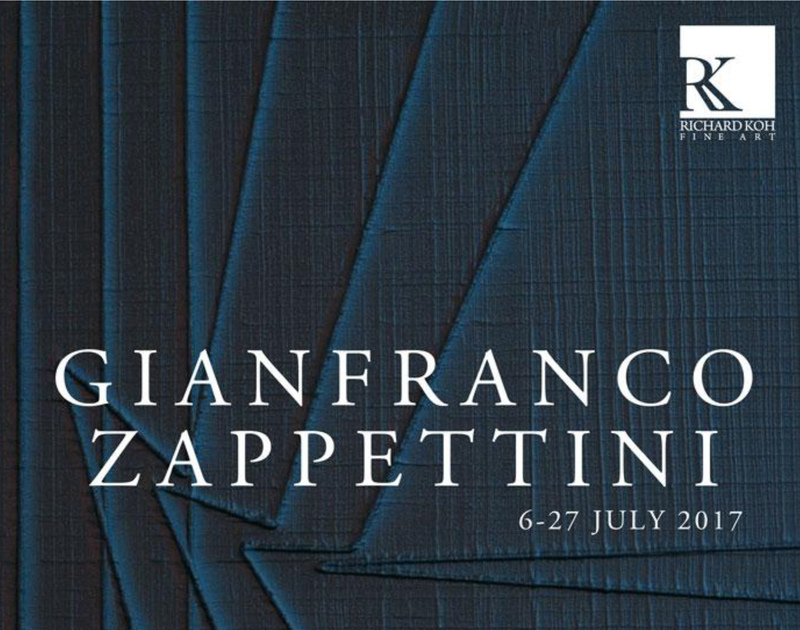 Richard Koh Fine Art (RKFA) is pleased to announce a solo exhibition by Gianfranco Zappettini at Richard Koh Fine Art, 229, Jalan Maarof, Bukit Bandaraya, Bangsar 59100, Kuala Lumpur scheduled to run from 6 – 27 July 2017. The exhibition features an overview ranging from the artist’s earlier structural works from 1966 to the artist’s most recent series. The Opening Reception will take place on Thursday, 6 July 2017, from 5 – 8pm. To Gianfranco Zappettini, colors ceased to be just a cover, it is an element that the painter uses to compose the inner structure of the painting. This belief that painting should not suffer from an inferiority complex in confronting to other disciplines belongs to the Pittura Analitica (Analytic Painting) movement in Italy which emerged in the 1970s. Considered one of the most significant and influential artistic movements of the Italian Post-War period, it is closely aligned to other European movements such as the Supports/Surfaces group in France, the radical painting in Germany, and the American Minimalists, the Pittura Analitica artists strived to redefine painting for the modern era and to reclaim the form as a contemporary communicator. Zappettini’s earlier interests are revealed in his “superimposed canvases” which were to challenge the Conceptual Art and Arte Povera movement through removing any form of individuality in his work. Replacing a paintbrush with a paint-roller, Zappettini adds (layers) in order to conceal (identity). He played a key role alongside Winfred Gaul and German critic Klaus Honnef as a theorist of Pittura Analitica and was invited to “documenta 6” in Kassel in 1977 for his “superimposed canvases”. This exhibition will feature 14 works from the past 5 decades of the artist’s practice which records his journey through his structural “superimposed canvases” to his recent paintings from La trama e l’ordito (The Weft and the Warp ) where he revisits the Genovese macramé tradition through a more internalized path.